I have learned the importance and merit of providing mentorship to our youth of the Philadelphia community. Too often the value of support and fostering meaningful relationships with our youth is overlooked in our culture, but I strongly believe that building healthy communities begins with playing an active role and reinforcing positive relationships with the next generation. Luckily, I felt I was able to help provide such support (even if only in a small way), during the time I spent in Miss Willa’s Language Arts classroom. One of the most powerful interactions I had with a YB student was not only the help I was able to provide with ethnography projects during class time, but that I was able to build a strong enough working relationship with one particular student to the point where she felt comfortable reaching out to me via email (so I could continue to provide assistance and tutoring with her project outside of my time spent in her classroom). It meant a great deal to me to see that this student took pride in putting in the extra effort to work on her project. This is not only a situation where I felt I had been helpful and made a positive impact, but I felt I had truly had been able to make a difference. 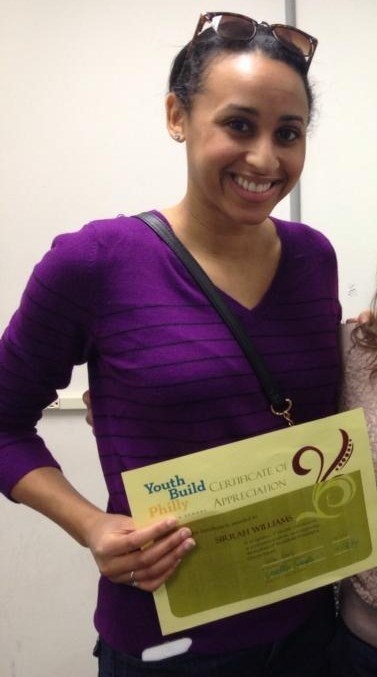 Interested in volunteering at YouthBuild? Click here to learn more.